Response: Peanut allergy and food allergies in general are caused by a combination of both genetic and environmental factors. Currently, the genetic basis of peanut allergy is unclear due to a lack of studies on food related allergies. Our study was comprised of 850 individuals with peanut allergy from the Canadian Peanut Allergy Registry (CanPAR), and nearly 1,000 individuals without peanut allergy and other food allergies. We looked at over 7.5 million genetic markers through a genome-wide association study (GWAS) to identify genes potentially associated with peanut allergy and other food allergies. Our findings are based on results from the CanPAR in combination with the results from other countries: USA, Australia, Germany and the Netherlands. We identified a gene that is associated with both peanut allergy and other food allergies. This gene is called c11orf30/EMSY and has previously been shown to be involved in other conditions such as asthma, eczema, and allergic rhinitis. Response: Our study suggests that the EMSY gene is associated with an increased risk of both peanut allergy and other food allergies. 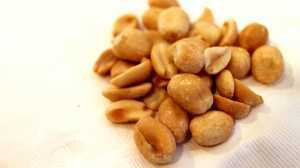 In addition, we also found that five other genes are likely involved in peanut allergy and other food allergies. The discovery of these findings may help to increase our understanding of the causes of food allergies, which could ultimately help identify individuals at risk. Response: In order to understand the cause of a disease and to subsequently find a treatment, the first crucial step is to identify the specific genes and pathways that need to be targeted. Our findings suggest that the EMSY gene could be a prime candidate for future investigations aimed at identifying novel treatments for food allergies. The findings were published in The Journal of Allergy and Clinical Immunology: http://www.sciencedirect.com/science/article/pii/S0091674917315749 . This entry was posted in Allergies, Author Interviews and tagged allergies, food allergies, peanuts by Marie Benz MD FAAD. Bookmark the permalink.